There’s really nothing special about the transition from December 31 to January 1, but I am glad for the illusion of renewal, and the introspection it brings. A few years ago I hated New Year’s resolutions. I’d grown tired of disappointing myself, usually failing to actually follow through with them. Last year I tried a new approach, and it worked. New Year’s resolutions that intend to change habits usually fail or end in a relapse unless (a) you are already really disciplined in the way you approach life (which probably means you wont have waited for a new year as motivation to make a change), or (b) you have faced some life event or circumstantial change that gives you authentic motivation, like moving, a new relationship, a medical diagnosis, job loss, death, graduation, etc. which rarely actually coincides with January 1st. In 2016 I had only one resolution. Read the Bible all the way through. I’d gotten to Leviticus, book 3 out of 66, many previous years, and once got through the whole Old Testament. But never had I gone cover to cover in a single year despite many attempts. Last year I did it… in a month. I realized that all those times I had failed, I had at least made it through January. I figured if my resolution only lasted to the end of January then there was a good chance I would actually do it. When I calculated the time required, I realized it would only take about 2-3 hours a day on average. I probably couldn’t maintain that indefinitely, but I could make it happen for a month. I read whole books at a time, and experienced the Bible in a way I never had – closer to the way I believe it was written for us to experience it, through the reading of entire sections and writings in single sitting. Within one month, being able to see the entire gospel flow together through centuries of prophets and their writings is amazing. And getting myself in the mindset for long reading sessions meant I never rushed through a daily reading to check off one of 365 boxes. I liked it so much I’m planning to do it again in 2017. This time I plan to utilize the free “Read Scripture” videos from The Bible Project on YouTube that were released this year to help me contextualize each book before I read it. Hopefully my new Bible from the Bibliotheca project on Kickstarter will also arrive in time for me to use it. Check out The Bible Project’s YouTube page! This year, I am also adding a second resolution that will span the whole year. The motivation for this one started halfway though 2016, when I faced either loosing some weight or loosing some money to replace my suits with larger ones. I also just felt bad. With a history of heart disease in my family, I wasn’t sure whether the discomfort I felt in my heart was real or imagined, but I knew it wasn’t good. It’s not the first time this has happened. I’ve lost weight before, by running, lifting weights, and even spending months on fruit-only diets. But eventually over time, usually after I’ve reached a point where I am comfortable in my clothes (and out of them) I reverse course until I get to a point I have to do it again. I don’t like diets and don’t really enjoy working out for the sake of working out, and I am tired of the cycle. So I decided to try something new, combining personal passion with my physical fitness, and eliminating the pressure of an endless daily grind that for me inevitably eventually slips. I love trails. There is something about being in the woods, on a mountain, by flowing water, moving forward on a set path, beginning to end, not knowing exactly what will you will see around that next corner, that fills me with a sense of discovery, joy, and satisfaction. In 2014 I actually tried to convince my wife to through-hike the Appalachian Trail or the PCT with me when I was in between careers after I graduated with my master’s degree. Six months of all-day hiking across a whole mountain range would no doubt be life-changing and inspiring. I may still do that one day, but in the meantime, I have let my passion for wilderness journeys lie dormant. I have suffered for it physically and mentally. Long trails take a long time to walk. If I want to go much more than 20 miles, I’d have to spend the night in the woods and take an overnight pack. But if I were running, I could cover longer distances in a single day. Start early enough and I could do 20 miles by lunchtime, or add a light pack and maybe do 60 miles on a single trail in a long weekend. I may still hike the AT one day, perhaps when I retire and have five or six months I can devote to it. But in the short-term maybe I could get my fix for distance hiking simply by speeding up. Here’s the problem. The only way for that sort of thing to be enjoyable is if I am fit enough to run those long distances comfortably. Right now, I am not. So here’s the plan. I have only ever run one marathon in 2012. In 2017 my resolution is to run a race that is marathon length or longer every month. In January, I am registered for the Mississippi Blues Marathon. I am most looking forward to this race because I suckered my brother to run this with me as his first marathon. I’ve been training for it since at least July. In February, I am registered for the Cummins Falls Marathon, my first full-marathon on trails (I have done a half-marathon on trails), and less than an hour from home. A few weeks later is the Savage Gulf Marathon which claims to be the hardest marathon in the south with over 3600 feet of elevation gain, including two trips in and out of the nearly one thousand foot deep gulf on some of the roughest, rocky, root-tangled trails I’ve ever hiked. Registration hasn’t opened for that one yet. Then there’s Yamacraw, my first ultra marathon, that I’m registered for in April – a 50k (31 mi.) trail race in the Big South Fork Recreational Area in Kentucky. I’ve done a little backpacking in this beautiful area on the Tennessee side. In May, I am registered for a 40 mi. road race that’s been going on for nearly 40 years in Wartrace, TN (also near home) named for a local champion show horse, Strolling Jim. Check out the Mississippi Blues Marathon! Check out Cummins Falls Marathon reviews! 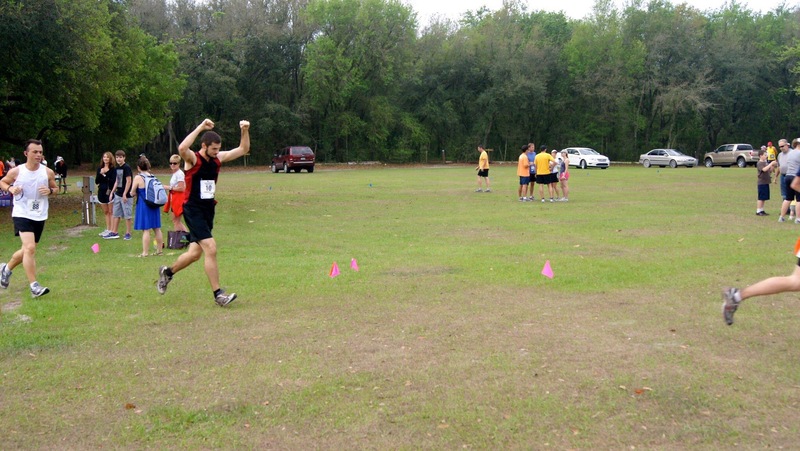 Check out the Savage Gulf Marathon Facebook page! Check out Yamacraw race details! Check out the Strolling Jim course map! And that’s it so far! Marathons and ultras are harder to find in the summer months, so I don’t have any of the rest of the year figured out other than eyeing the Daytona 100 in December that runs from Jacksonville to Daytona Beach along the east coast of Florida, ending just north of my favorite beach to visit when we lived in Orlando, Canaveral National Seashore. I’ll need a support crew for that one if I decide to run it. Check out the Daytona 100! Check out the Canaveral National Seashore! This is much better for me than just saying I’m going to “work out more” or “eat less”. I am not even committing myself to any particular training schedule. I’m signed up to run, and because I know what I’m about to have to do, I’m motivated to train. I paid for those races. They weren’t cheap. And I’m gonna show up to run ready or not. If I eat poorly or slack off I’ll suffer for it. I’m not begrudgingly working out to lose weight or whatever, I’m getting ready for a race, then another, then another. My idea is that at the end of the year I’ll transition from having a monthly race to just always having a next race to be ready for. My hope is that I will eventually transition to being comfortable just throwing on a pack and running a 50 mile wilderness trail over the weekend. No promises. My focus right now is just on my 2017 race itinerary. Then we’ll see what happens. I don’t just intend to do what I’ve set out to do next year – I expect to. It’s not a matter of creating permanent habits or forcing myself to do things I don’t really want to do. That never works for me. I’m not focused on making myself a better person, or checking off 365 boxes. I’m just pursuing a couple passions I already have by doing things I know I’ll enjoy with a little bit of extremity mixed in. Hopefully I’ll be better for it, but even if I’m not, I intend to have a good time doing it. That will be enough for me.